Sister of the bride and Maid of Honour Pippa Middleton holds hands with Grace Van Cutsem and Eliza Lopes as they arrive to attend the Royal Wedding of Prince William to Catherine Middleton at Westminster Abbey on April 29, 2011 in London, England. The marriage of the second in line to the British throne is to be led by the Archbishop of Canterbury and will be attended by 1900 guests, including foreign Royal family members and heads of state. 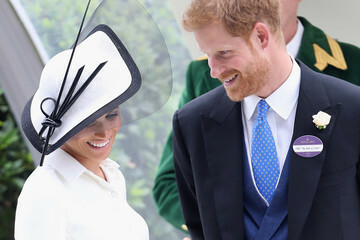 Thousands of well-wishers from around the world have also flocked to London to witness the spectacle and pageantry of the Royal Wedding. 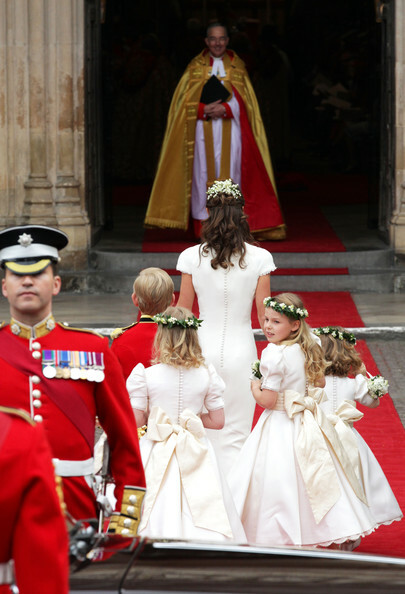 (Getty Images)more pics » Pippa Middleton (Getty Images) Pippa Middleton made a splash today, as a very lovely and fashionable sister of the bride. 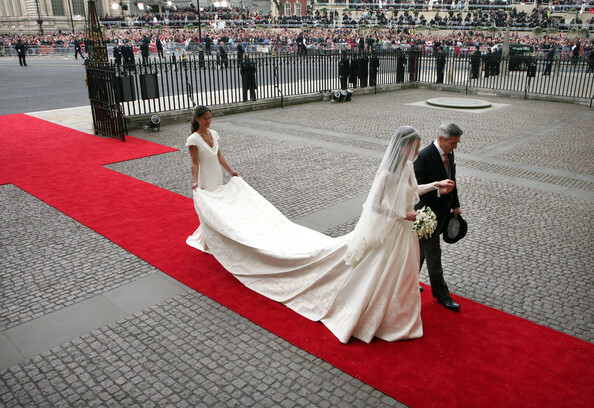 Pippa served as Kate Middleton's maid of honor. 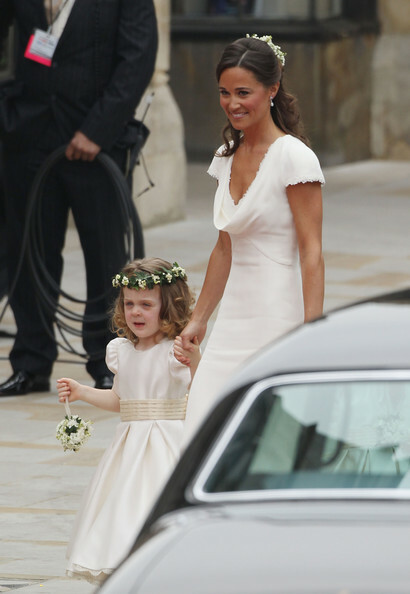 Like her sister, Pippa wore a dress designed by Sarah Burton for Alexander McQueen. Pippa's frock was ivory satin and the buttons and lace trim exactly matched Kate's wedding dress. Pippa Middleton's shoes were designedby the Rainbow Club. They featured Swarovski crystal buckles.